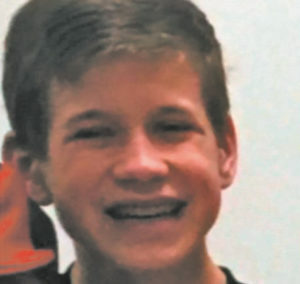 The Cincinnati Police Department is working with the Hamilton County Coroner’s Office to investigate the tragic death of Kyle Plush that occurred on April 10, as Plush, a sophomore at The Seven Hills School in the 5400 block of Red Bank Road in Madisonville, reached over the back bench seat in his Honda Odyssey minivan in a parking lot at the school to get his tennis gear for a match when it flipped backwards trapping him and crushing against his chest. After making two desperate 911 calls, he died of asphyxiation. Cincinnati police, who could not locate the van, responded to Plush’s first call at 3:11 p.m. While they were in the parking lot, Plush was making his second 911 call. In that second call, Plush gave more details of the van he was trapped in, including its color, make and model. He also said he was dying and for the dispatcher to tell is mother he loved her. The information in the second call was never relayed to officers on the scene. 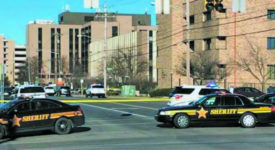 The dispatcher, Amber Smith, did not convey the additional information to officers at the scene, and has been placed on administrative leave, Cincinnati Police Chief Eliot Isaac said. However, Smith has reportedly said she could not hear Plush’s second 911 call. A power outage is believed to have occurred around that time, and police said they are investigating what actually occurred at the call center. At approximately 9 p.m., his Kyle’s father, Ronald Plush, called 911 to advise he had found his son in the vehicle in the parking lot. Attempts were made to revive Plush by Cincinnati firefighters, but those efforts were unsuccessful. Mayor John Cranley, in a statement about the incident, said, “Our hearts are heavy this week as we mourn the tragic loss of a child, 16-year-old Kyle Plush. I ask that our city join me in praying for the Plush family during this very difficult time. “The events leading up to Kyle’s death are devastating and also raise concerning questions about our city’s emergency 911 system and police response. While it is unclear if there is wrongdoing by the city in this tragedy, we have a profound responsibility to find out. “However, separate from this incident, the problems of management, supervision and technology have been reported at the 911 center for years. Based on problems that I have been made aware of, I have repeatedly requested solutions and I have also lobbied the FCC on technology issues. I have been told by the administration that problems were being resolved through Cincy Stat and other efforts. This tragedy may ultimately suggest the problems have not been resolved or that not enough changes have been made. Councilman Chris Seelbach said it is time for a change in the 911 system, and he is introducing legislation to start the process of merging our call center with the county. “It’s past time to solve this once and for all. Lives are at stake, and we can’t let the ego of anyone or any organization prevent this from happening,’’ Seelbach said. Services for Kyle Plush were held Monday. It still seems to me that if a system does not have a procedure in place for deciding to stop action on a 911 call, then the system is inviting errors related to that decision. The technology is advanced enough to provide the information related to the 911 calls for such a procedure to make the stop or not decision.